This book has been a staple in my library for a couple of years now. I found out about this book shortly after the movie the Secret in 2006. During that time, I had just started my business and I was experiencing success however I wanted to know how to keep the great experiences going. What I learned from this book is our thought determine our reality. It is so critically important to remain positive and expect great things to happen everyday. 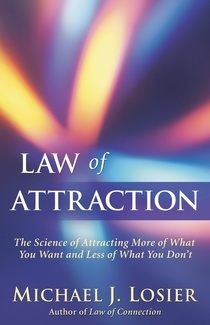 Run and get your copy of the Law of Attraction today.